Start boiling about 1.5 cups of water in a kettle. 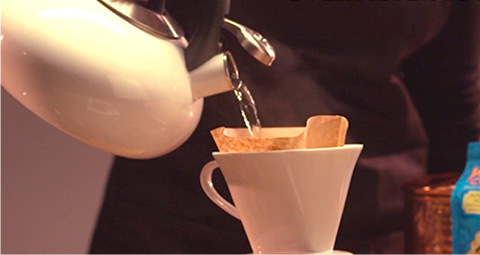 Place pour over brew basket on your mug of choice and coffee filter in the pour over basket. 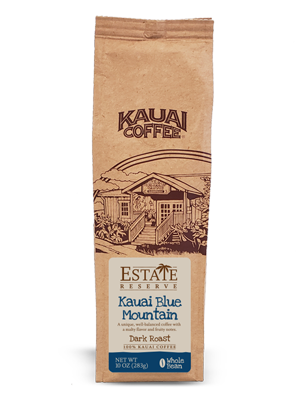 While waiting for water to boil, prep the filter by pouring a few ounces of hot water to eliminate the “papery” taste. Discard water from the cup. 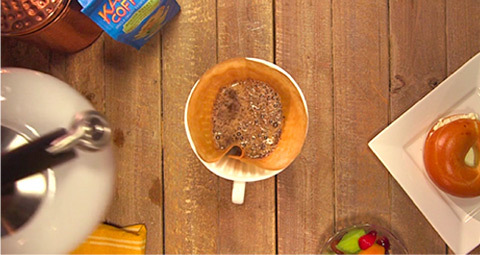 Grind 2 tablespoons of whole bean coffee to a medium-coarse texture. 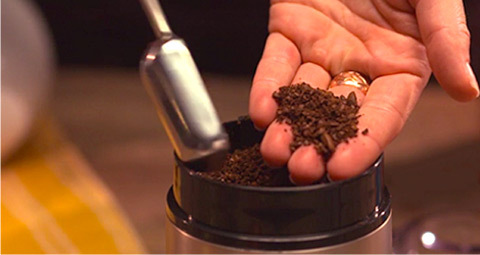 Take your freshly ground coffee and add to filter. Once water is boiling, take water off the stove; wait for water to change from rolling boil to steaming (about 20 seconds). Pour hot water on the grounds, starting at the outer rim and spiraling towards the center. Make sure all the grounds are wet, which should take about 15 seconds. After this first pour, you will see the coffee “bloom”. 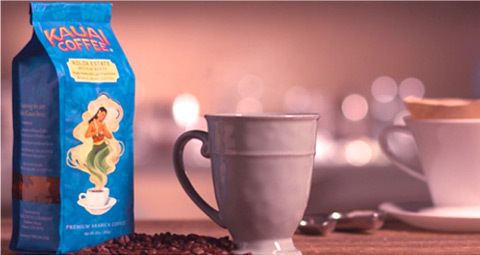 Wait about 30 seconds for the coffee to drip before moving on to the second pour. Begin to pour more hot water on the grounds, this time starting at the center and spiraling towards the outer rim. Allow for the coffee to drain before starting your third and final pour. Pour the remaining water from the kettle on the grounds, starting in the center and working your way to the outer rim until all the water has been poured on the grounds. Wait for the coffee to drain. 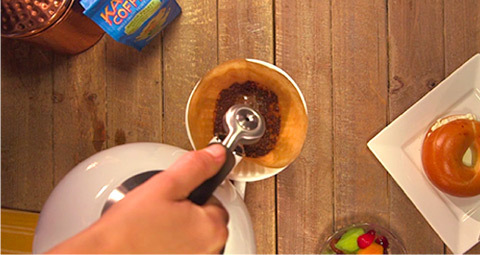 Remove pour over basket from cup and enjoy a delicious cup of coffee!